This post brought to you by Heineken. All opinions are 100% mine. Heineken, the premium beer brand since 1873, is out with a brand new global campaign "Voyage" to find out if the legends are born or made? "Voyage" is all about taking different men from across the world and then leaving them in remote and deserted places with the most basic of supplies and directions to reach a planned destination. This adventure the participants embark upon will be available as "Heineken Dropped" which is a series of episodic adventures and travel experiences of the Voyage participants. Voyage is the fifth installment of the Heineken's Legend series. Consumers can experience the series via the official Heineken® Dropped YouTube channel. Heineken fans and viewers will be able to watch and follow each ‘Dropped’ voyage videos on this channel. Fans will also have the access to the documentary-style content. They will be able to contribute their own video entries to the ‘casting couch’ - with the ultimate chance of partaking in their own legendary travel adventure! Have a look a Heineken Dropped video below. Every travel adventure in ‘Dropped’ will be tailored towards the character of each participant. There will be many different kinds of challenges forcing the participants to discover their own physical and mental limits and also to conquer their fears. The official Voyage TVC has been aired since June 1st. The theme of the TVC is India where the Heineken Legend is dropped and how he survives. The first Dropped Voyage has already launched on Monday June 3rd, with subsequent Dropped Voyages commencing every three weeks. You can also watch episodes from the first Dropped adventure on Heineken.com and YouTube. Each of the Dropped experience will have three episodes, complemented with behind the scenes content. But this is not all. As a consumer and Heineken fan, you can play a special online game to test your navigational skills on a digital voyage. Few lucky winners will get the adventure filled travel experience and perhaps a space training as well. All you need to do is to buy the special packs of Heineken, redeem the code and play the online game. To get the more information about this campaign, you can visit the http://www.heineken.com/voyage link. If you were part of the Heineken Dropped experience, what would your strategy to survive be? What would you love to experience on such a journey? Adil Omar is well known for his collaboration with other artists. And this he collaborated with Jarar Malik for the creation of a brand new song Saza. The video of the song Saza is directed by Adil Omar and Taimoor Salahuddin. It is mixed and mastered by Bilal Iftikhar of Coke Studio/Frequency Media. The song is available on the iTunes and you can visit the download page from the link given below. The video of the song Saza by Adil Omar featring Jarar Malik is shared below as well. Jal The Band is back with a brand new video from their album Pyaas. The name of the song is Pyaas which is also the name of the album. The video is mixed and recorded at the GM Studioz and directed by Qasim Naeem. The video of the song Pyaas and the lyrics of it is given below. Jinke Nashe Me Ye Dil Duba Jaye. Nashili Ankhon Ko Hi Dhunde. Roop Tera Aisa Lage Dil Dube. 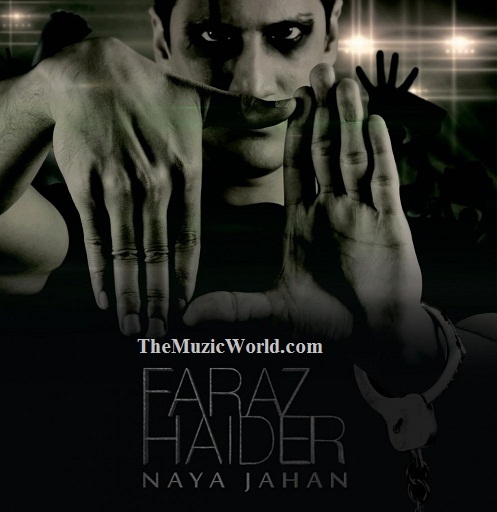 Faraz Haider is going to release his next album Naya Jahan very soon and lots of songs of that album are already available to listen by online streaming. 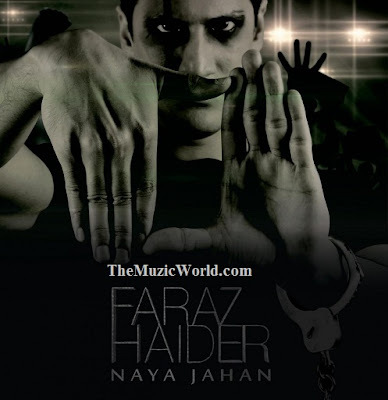 Here I am sharing the songs Baatein, Inqilaab and Mujh Se from the upcoming album of Faraz Haider. You can listen them from the audio player embedded in the post and feel free to share your opinion about the songs in the comments. Faraz Anwar, one of the best guitarist in Pakistan, is back with a brand new song and video of it. The song is called Tu Kareeb Hai and the video of this song is directed by Yousuf Arain.